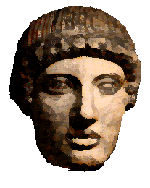 tlantis was an imaginary Utopia used by Plato in his two dialogues Timaeus and Critias. There never was such a place, and it is a futile to go looking for it as it is to look for his "Republic." On this page I shall be examining the Atlantis myth and some of the absurd theories it has attracted, my main objective being to locate the "lost continent" once and for all in Plato's mind. Not in the mid-Atlantic, Greenland, South America, Japan or Timbuctoo.